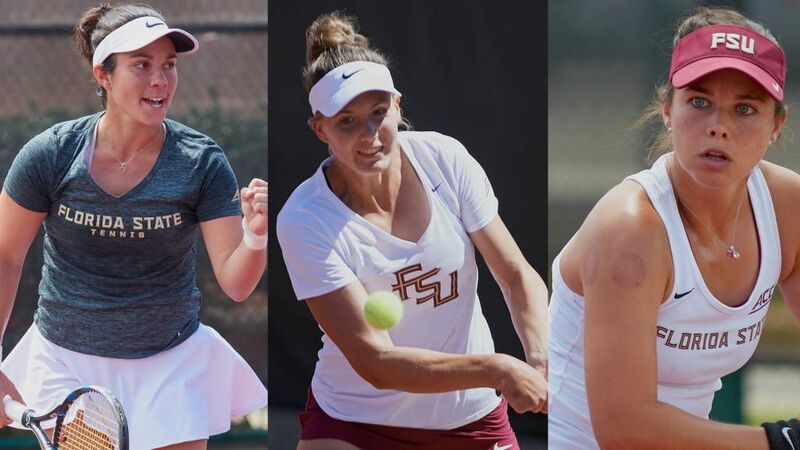 TALLAHASSEE, Fla. – The Florida State women’s tennis program was named an All-Academic team by the Intercollegiate Tennis Association on Tuesday, as Daniela Schippers, Gabriella Castaneda and Julia Mikulski were each named ITA Scholar-Athletes. With three Scholar-Athlete selections in 2017, the Seminoles have now had at least one player recognized since 2011. Schippers ends a successful career on the court and in the classroom with her third consecutive Scholar-Athlete honor. With a 3.9 grade point average in hospitality management, Schippers lead the team academically and athletically on her way to being named the ITA Most Improved Player in the Southeast Region after the 2017 season. A native of Essen, Germany, Mikulski earns her first ITA Scholar-Athlete recognition after earning a 3.8 grade point average for the academic year. Mikulski finished the year ranked an impressive No. 65 in the final ITA doubles rankings.